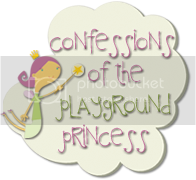 Confessions of the Playground Princess: What a "Special" Woman the world has lost. What a "Special" Woman the world has lost. Last week we lost one of the greatest women I believe this country has ever known, Eunice Kennedy Shiver. I think it serendipitous that her mother Rose Kennedy was born on July 22 the same day as me and she on July 10th the same day as my daughter Sarah. I believe Eunice and Rose had a special mother-daughter relationship. 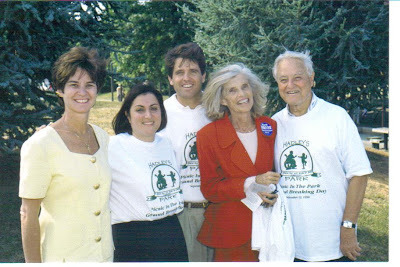 Rose Kennedy instilled a belief in family, faith, tradition and community involvement in her children which was passed on to Eunice and her to her own children. For those of you who do not know who Eunice Kennedy Shriver was she was the fifth of nine children born to Rose and Joseph Kennedy, sister to President John F Kennedy. In May of 1953 Eunice married Sargent Shriver and they had five children. Eunice grew up like Sarah with a disabled sister, Rosemary, and was influenced to change the world due to Rosemary’s disability. 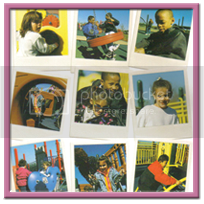 In the 1960’s she co-founded Special Olympics, so that all children could play. A motto I have shared through my work. I had the pleasure of meeting Mrs. Shriver several times, as her son Mark became a member of our Board of Director’s for Hadley’s Park, and invited her to several events. I can remember one event in particular which was for Mark, who was running for Congress at the time, when she shared the story with me; a story most people don’t know, I’m not even sure if Mark knew this. But Mrs. Shriver had told me that when she was thinking of starting Special Olympics, she was contemplating starting an organization to build fully inclusive playgrounds. I thought how serendipitous, that she thought to do this in the 1960’s and I had gone to seek help from her son in 1996 with the same dream. I am glad that I could share this vision with her and carry it out to help improve the lives of children. God Bless you Eunice, God has a great angel among him now! 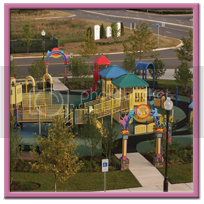 “The right to play on any playing field? The right to study at any school? The right to be anyone’s neighbor? Beautiful post. Made me cry. Mrs. Shriver certainly gave a lot to us, didn't she? What a lovely post. SITS sent me over, and I'm glad they did! I totally agree....Love your blog...and your design is wonderful. 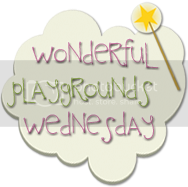 What a great post....so glad that I stopped by today.This summer has been so crazy that I have not visited some of my favorite blogs often enough. May she rest in peace. She really did so much during her lifetime. What a wonderful tribute. She truly was an American shero! Lovely post! Just dropping by! 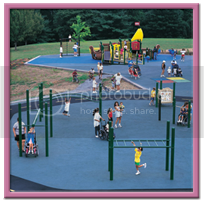 I think it's vital that kids with special needs be able to play on the playground just like other kids. It's wonderful and ironic that both you and Mrs. Shriver had the same vision.